NBI Properties, Inc. is proud to announce that Project Hope, a Christian-based nonprofit, leased the commercial property once known as Emerald Coast Rescue Mission for the next three years. Based out of Houston, Texas, Project Hope felt called to spread their ministry to Northwest Florida. While in town on business, President and CEO, Don Nordin, happened across the old Hollywood Boulevard property. Instantly, he knew Fort Walton Beach, Florida was exactly what he and his team in Houston had been searching for. “Our mission and our heart are to help people who are lost,” said Mike Vecchio, Executive Director of Project Hope. “We want to provide hope to people who are at the point of giving up.” Project Hope is a Christian non-profit dedicated to those struggling with addiction. The Fort Walton Beach, Florida location currently serves men who are 17 years of age or older. Residents take part in a 12 – 14 month recovery program based on effective and comprehensive Christian faith-based solutions to life-controlling problems; such as drug and alcohol addiction, anger, depression, overeating and many more of life’s challenges. Project Hope emphasizes positive life skills through spiritual growth activities, individual counseling, adult work-study program, acquiring their GED, and various outreaches. “It is important to Fort Walton Beach and the surrounding Okaloosa and Walton County communities that we strive to lift up those who are suffering from addiction,” says NBI Properties, Inc. co-owner Craig Barrett. “There is a need in our community. By leasing this commercial real estate property to Project Hope, we are helping to provide a platform for those in need to heal and continue to be working members of our community.” “We are very blessed to have Project Hope expand their ministry to the Emerald Coast” says NBI Properties, Inc. co-owner Jayme Nabors. 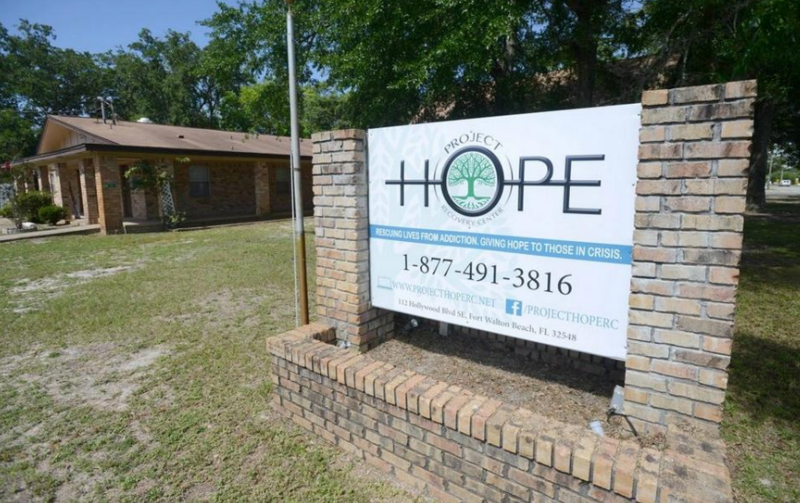 “Thank you for giving second chances and bringing hope to those struggling with addiction in our community.” To learn more about this biblically based recovery program, please visit their website at www.projecthoperc.com, or visit their Fort Walton Beach location at 112 Hollywood Boulevard.